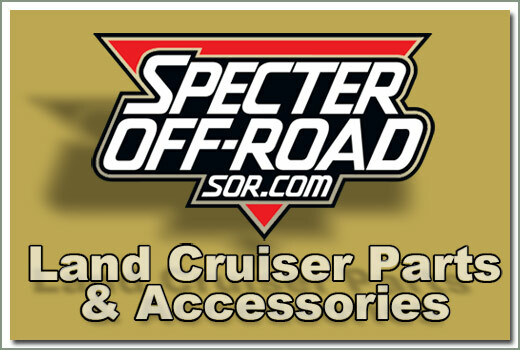 New from Specter Off-Road - FJ40 Pre-Formed Brake Line Kits. 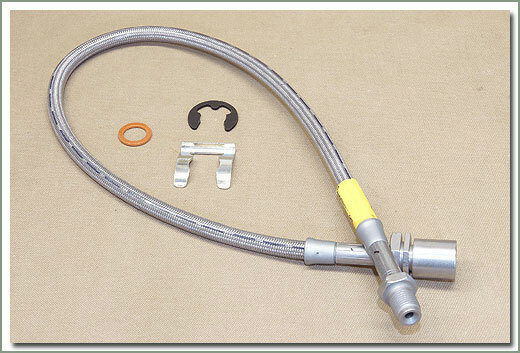 These kits have all the hard lines to re-do your brake system. 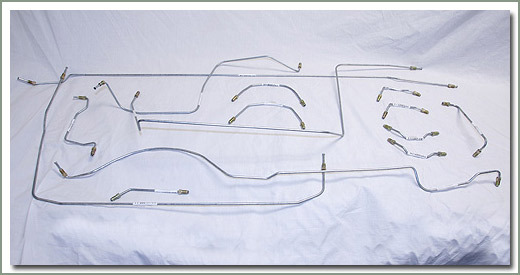 These lines are bent to factory specifications with the correct fitting sizes. 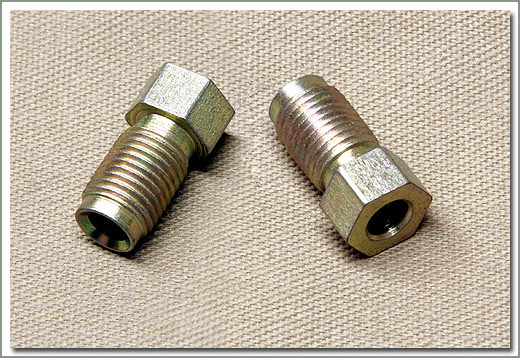 Made from Zinc plated steel. 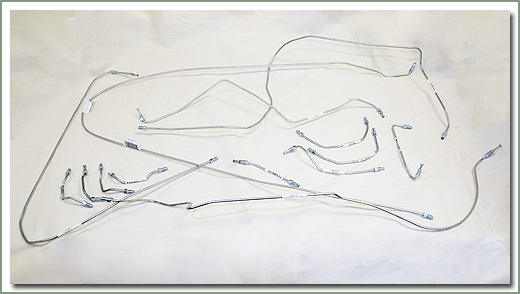 Some longer lines are bent for shipping and will need to be straightened (not shown in photos). 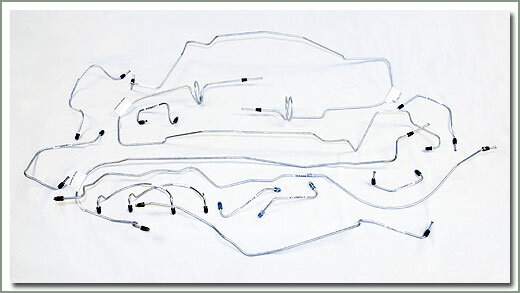 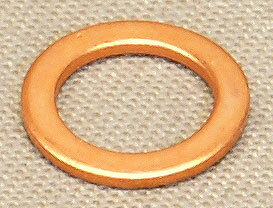 See part numbers 086-30, 086-31, and 086-32 for soft lines. 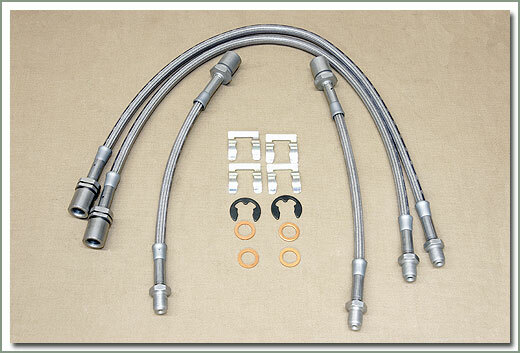 Kits do not include: Banjo fittings, Unions or Flex lines. 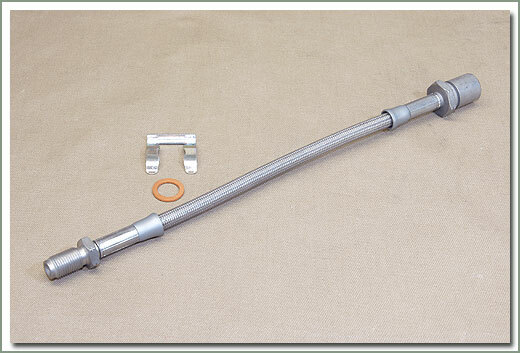 Fits 1963-1967 FJ45 LHD Gas ONLY Long Wheel Base Pick Up - Comes with all (Zinc Coated Steel) lines to re-plumb your Left Hand Drive Land Cruiser. 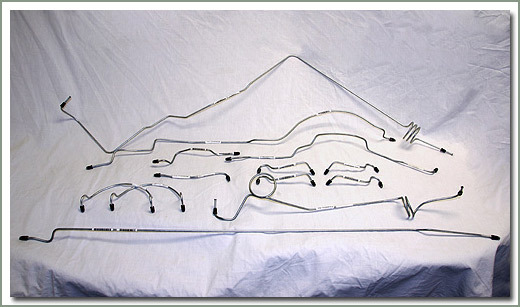 Fits 1958-7/70 FJ40/FJ45 - Set of 3 rubber encased 22 inch long hoses - includes 2 front hoses & one rear hose - original hoses were 17 inches - Does not include retaining clips 086-08A - order separately - NO Stainless Steel version available. 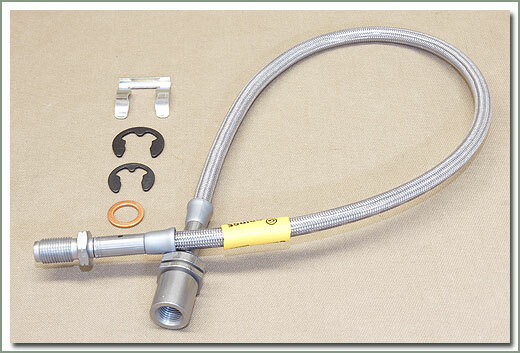 For those Cruisers who have modified suspensions, Specter offers extended Stainless Steel Braided D.O.T. 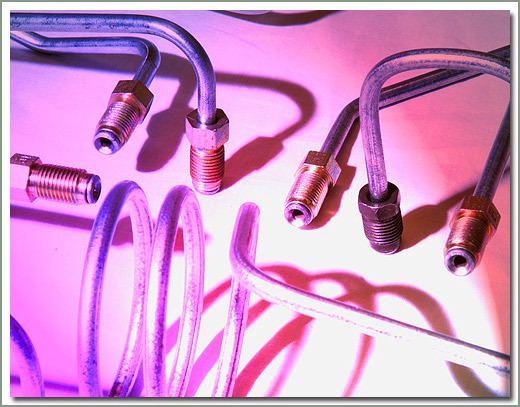 approved Brake Hoses. 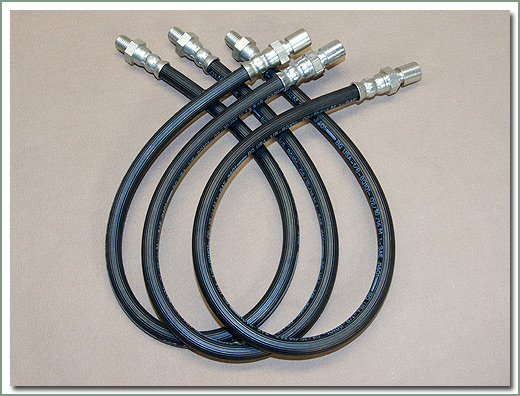 These hoses are longer than stock brake hoses depending on application. 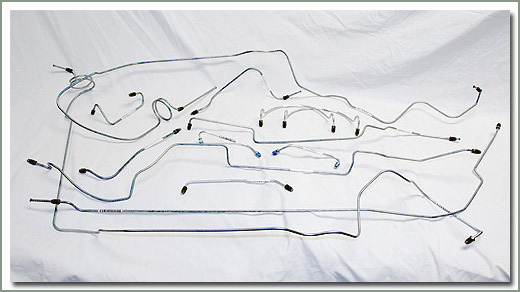 Kit contains: #086-30 brake hose to the wheels (qty 2), #086-31 front axle brake hose, and #086-32 rear axle brake hose Kit also contains the proper retainer clips and copper sealing washers. 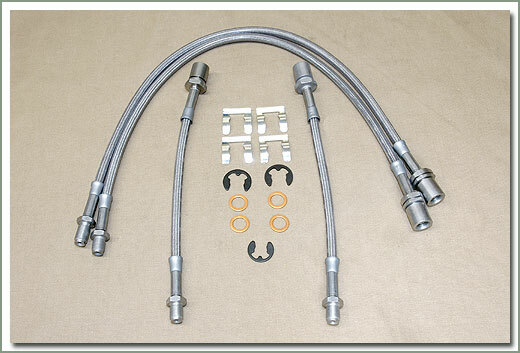 Stainless Steel Braided Brake Hoses are also sold individually. 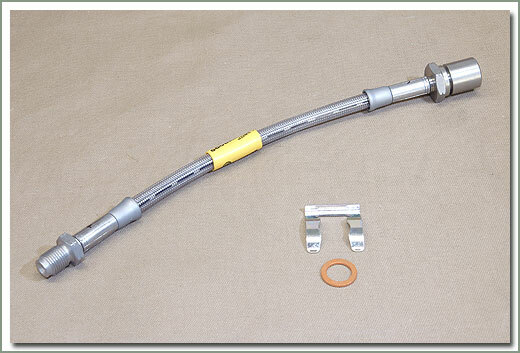 Fits 7/70-9/75 FJ55-Comes with #086-30 front brake hose to wheel (qty 2), #086-31 front brake hose (qty 1), #086-32 rear brake hose (qty 1), retainer clips and copper sealing washers-Depending on application, these hoses are longer than stock. 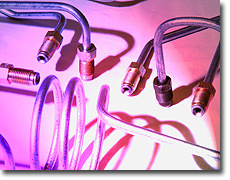 Modification to frame support brackets required. 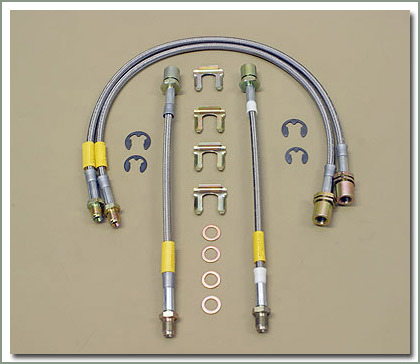 Fits 9/75-7/80 FJ55-Comes with #086-30 front brake hose to wheel (qty 2), #086-31 front brake hose (qty 1), #086-32 rear brake hose (qty 1), retainer clips and copper sealing washers-Depending on application, these hoses are longer than stock. 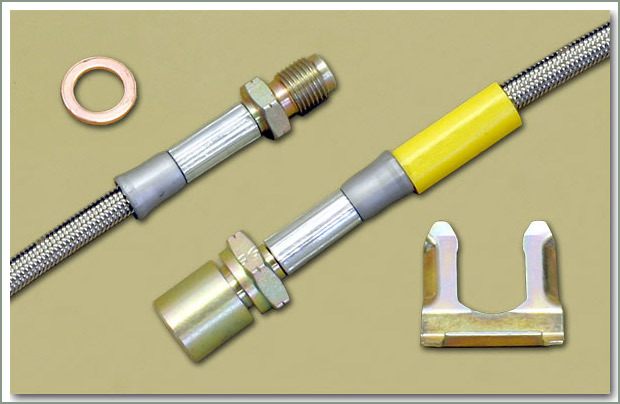 Modification to frame support brackets required.